Framed Size: 8" x 8 1/2"
Description: Limited edition 167/750 hand colored etching. 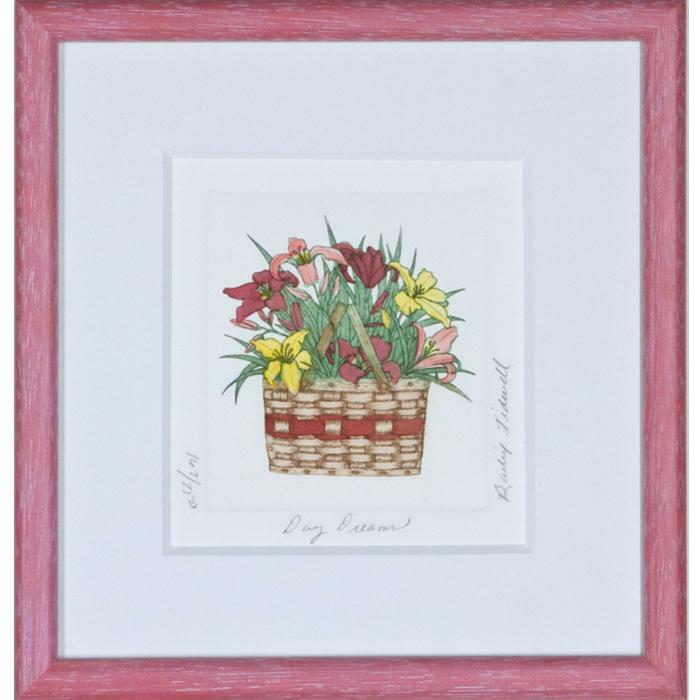 Art is framed in a 1/2" wide light pink with white grain wood frame. Frame also includes regular glass and a 8 ply thick acid free mat.